The Carlisle 3686709 Duo-Sweep® broom has sturdy bristles made of durable, sanitary polypropylene. 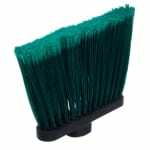 An angled cut reaches in corners and along walls, while the ergonomic design means the bristles wear evenly. 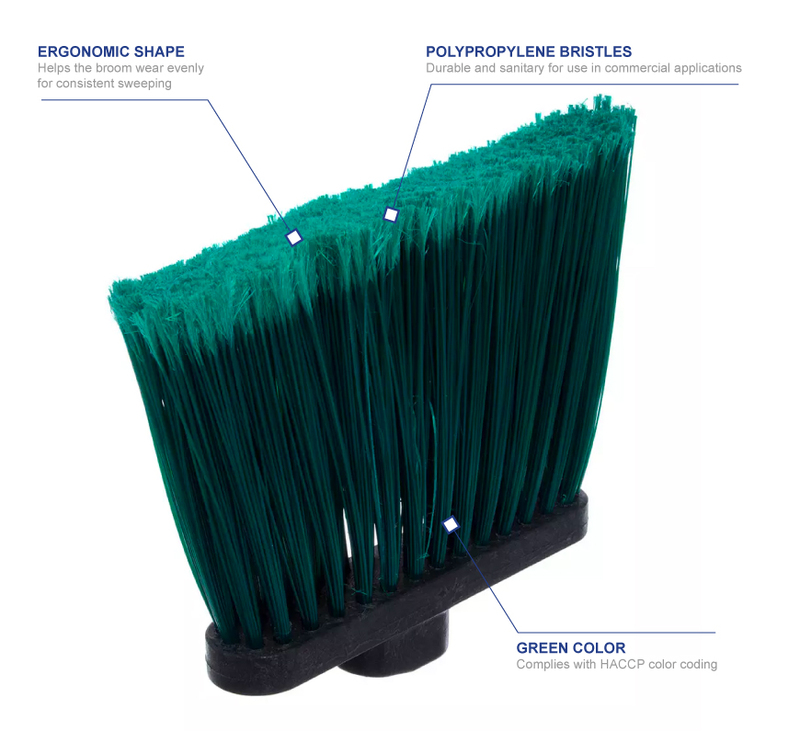 Since the bristles are green, the broom can be used in HACCP color coding systems, while durability is added to the Carlisle 3686709 Duo-Sweep broom with its heavy duty, damage-resistant block.